We have received some very positive reviews of the Insurance Summit and we would like to thank the speakers and everyone that attended. All of the speakers were very well received and the PowerPoint presentation used by Andrés Portilla, Director of Regulatory Affairs at the Institute of International Finance (IIF) is now available for download. (1.3Mb). The report written by Networks Financial Institute for the Federal Insurance Office (FIO) (PDF, 10.9Mb, 60 pages) is also available as is the report issued by the FIO itself, "How to Modernize and Improve the System of Insurance Regulation in the United States." (PDF, 3.4Mb, 71 pages). 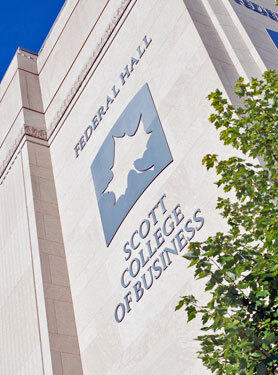 Faegre Baker Daniels and FaegreBD Consulting were pleased to partner again with Networks Financial Institute (NFI) and the Scott College of Business at Indiana State University in presenting the 10th Annual Insurance Public Policy Summit in Washington, D.C., on March 12, 2014. This year's Summit focused on U.S. and international insurance regulation. 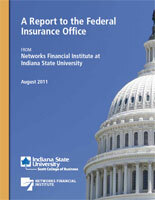 Networks Financial Institute, a nationally recognized thought leader in insurance regulatory reform, is uniquely positioned to provide insight and influence insurance public policy. The NFI Insurance Public Policy Summit has earned a reputation as one of the most engaging and provocative annual events for the financial services sector, and 2014 will be no exception. U.S. financial institutions have been significant players in international markets, but globalization has brought new challenges for U.S. regulators, policymakers and insurers. Congress and the Administration will be stepping up their efforts to examine the current regulatory framework and other modernization/efficiency/competitiveness proposals.